Home » News » Is R&D, the Elixir of Economic Growth, Threatened by ISA? Is R&D, the Elixir of Economic Growth, Threatened by ISA? The ‘elixir of economic growth’, whilst sounding like a surreptitious tincture crafted by an alchemist, is actually often believed by economists to be pertaining to research and development (R&D). Hence, as we mentioned in our previous post, it came as a surprise to many that the R&D Tax Incentive was not mentioned in the Innovation Statement released on Monday. However, what was declared was the inception of a new independent body, Innovation Science Australia (ISA), which will take effect in July 2016. 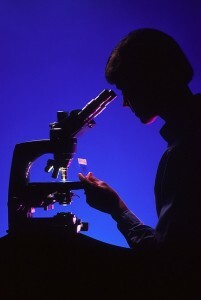 As one of its first tasks, ISA will “review the R&D Tax Incentive to identify opportunities to improve its effectiveness and integrity, including by sharpening its focus on encouraging additional R&D spend.” In relation to this agenda, there is significant apprehension that ISA, before even commencing as a body, is being focused towards honing the R&D Tax Incentive. For instance, “sharpening” a broad based programme would signify a move towards making the scheme less comprehensive. Furthermore, according to RSM, seeking to encourage additional R&D spend negatively denotes that the base level of R&D that companies presently spend is not adequate. Henceforth, reducing the scale of the R&D Tax incentive would almost certainly result in R&D activities shifting offshore to more desirable tax environments. As it currently stands, Australia’s investment in commercial R&D is fairly stable. Yet, provided Australia’s risk adverse culture, a refining of tax incentives at a time when other countries are increasing the generosity of schemes could see a dystopian exodus of our fledgling technology companies. Consequently, Australia could end up at the bottom of R&D charts within the OECD – as it currently is for commercialisation. Thus, this highlights the fact that Australia does indeed have a competitive R&D tax incentive compared to foreign countries. However, we do not have a rivalling commercialisation prototype, such as a patent box. A scheme such as this would create an immense advantage for Australian companies in a globally competitive landscape. Nonetheless, whether or not the ISA will “sharpen” the currently broad R&D Tax Incentive will not be known until they come into influence in 2016. In the meantime, Swanson Reed encourages businesses to profit from the current program to achieve generous tax benefits. Swanson Reed is a specialist R&D tax firm that has assisted many companies, small and large, claim the R&D tax incentive across a variety of industries. Contact us today to find out if your business activity qualifies.